The all new Xtreme 200S ABS ( Anti-lock Braking System) first made its debut at Auto Expo 2016. As per the information which we have gathered, the launch of Hero Xtreme 200 ABS should likely happen in this year (2017). The launch of Hero Xtreme 200S ABS is expected to happen by the festive season of 2017. Talking about the competition, once the Xtreme 200S ABS is launched, it is going to directly rival against other popular motorcycles in the market like TVS Apache RTR200 4V and Bajaj Pulsar 200NS FI. 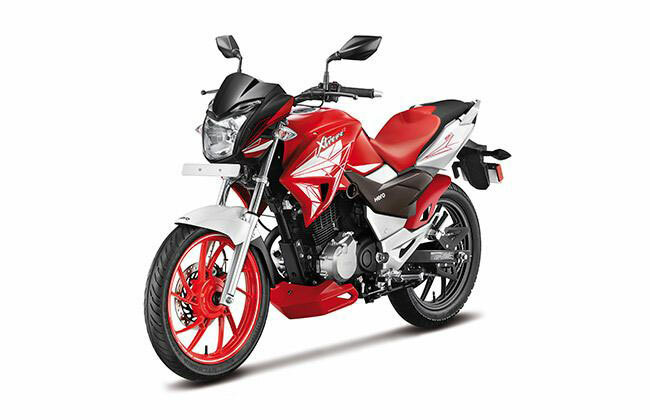 In order to make this new product popular, Hero MotoCorp would be pricing the Xtreme 200S pretty competitively. The price of upcoming Xtreme 200S should be better priced in comparable with the RTR200. During the Auto Expo 2017, only the ABS-equipped motorcycle was showcased. 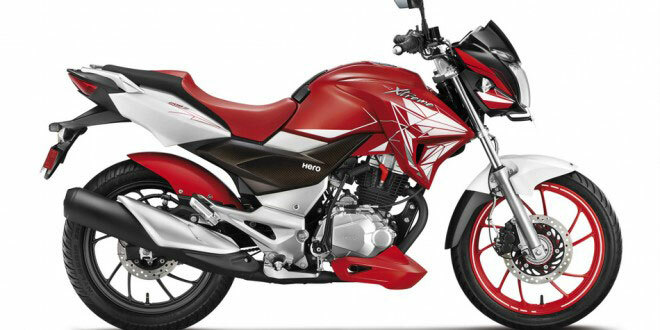 Hero Xtreme 200S would be also getting a non-ABS model at a much lesser price. The Price range of this motorcycle is expected to start from INR 95,000. The Xtreme 200S is built around a diamond type chassis. Hero Xtreme 200cc model shall boast muscular and aggressive looks. The stylish extensions for the fuel tank gets faux air vents. The Other interesting bits of this motorcycle include engine cowl as well as chunky tailpiece. The alloy wheels of Hero Xtreme 200S will have a diameter of 17-inches that gets stylish, swirl-star design. Overall, the motorcycle looks stylish and muscular at the same time. The upcoming Xtreme 200S from Hero MotoCorp will be getting features that include 17-inch Alloy Wheels, Front and Rear Disc Brake, ABS, Mono Suspension at rear, Dual-tone Seat Upholstery, Split Grabrails. LED Pilot Lamps, LED-effect taillamp, Engine Cowl, Body-colored Rear Mudguard, Tubeless Tires, Maintenance Free Battery, Semi Digital Speedo Conso. What are your expectations from Hero Xtreme 200S?